Comments: Only female plants have fruit. 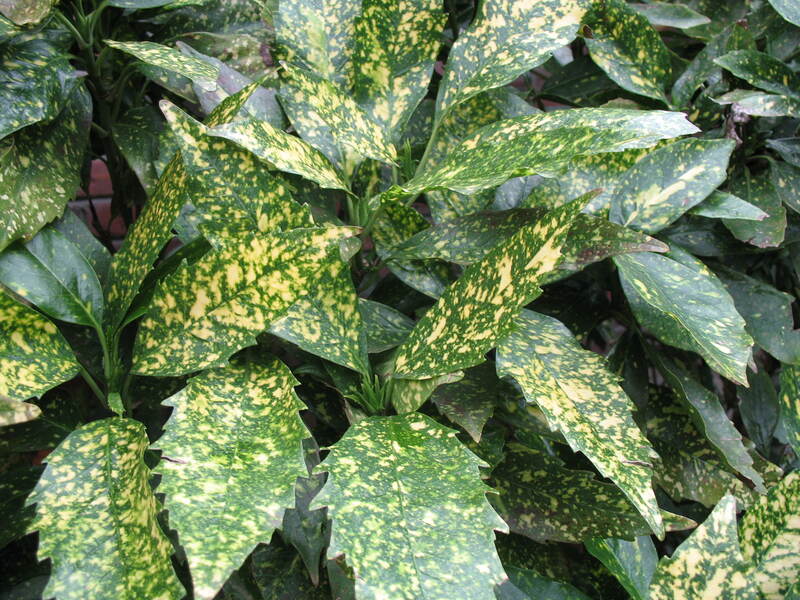 This plant grown for is beautiful gold and green variegated leaves. Relatively slow growing. Plant in a well drained soil and partial shade. Cannot tolerate the hot high noon and early afternoon sunlight in summer. Cannot withstand water logged soil. Makes an excellent container plant. Occasionally remove old stalks to encourage new fresh growth to rejuvenate old plants. Excellent, long lasting cut foliage for floral arrangements.